Elaine Gan (DANM '11 and current Film + Digital PhD student at UCSC) will be presenting at the World of Matter Conference on October 18th in Brussels, Belgium. World of Matter is an "international media, art and research project investigating the complex ecologies undergirding resource exploitation." Elaine's work "seeks to draw out temporal mechanisms of more-than-human ecologies and economies through a study of rice" and will be presented in a talk entitled "Shattering Seeds." 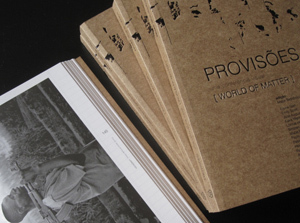 The group recently published a book, Provisões, that included Elaine's art and research, and was released at the Maldives Pavillion at the 2013 Venice Bienale.